German Girls Performance -1941 - Bundesarchiv Bild 183-2000-0110-500 CC-BY-SA 3 cover. In the German system of values, there was a stable expression describing the social role of women, it read – Kinder, Küche, Kirche (children, kitchen, church). 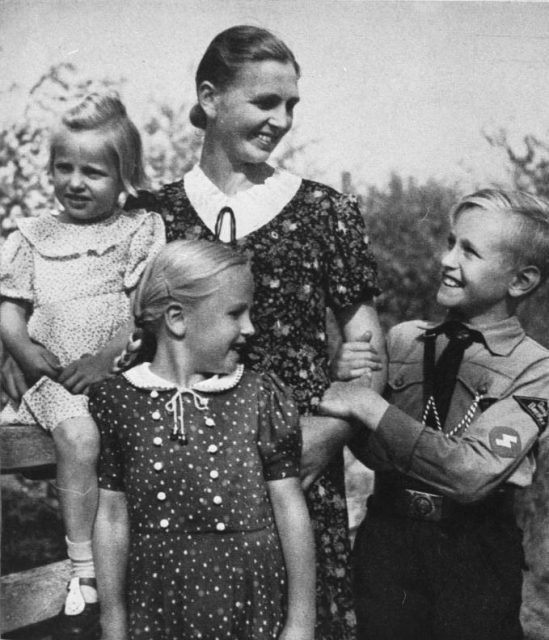 In September 1934, Hitler stated, “the world of a German woman is her husband, her family, her children and her house“. At that time, service in government structures was allowed only to men, but the Second World War radically changed the situation. After the seizure of a large part of Europe, due to lack of weapons and losses in the armed forces, it was necessary to attract additional personnel in the form of “auxiliary units”. “We should not forget that there were many women in the ranks of air defense fighters. In the units of self-defense and other posts, they replaced the men who went to the front everywhere, wherever they could. At the end of 1944, 270,000 women and girls aged 18 to 40 years old were in urban fire brigades. “Labor service among women has acquired great scope already during the war itself by increasing the number of women’s labor camps and training a sufficient number of commanders from women. In the following years, up to 80,000 girls were at the same time in the women’s groups of labor service. But even this could not satisfy the growing needs of the state in the labor force. Therefore, a special “military support service” was set up under the government’s decree, in which the “girls-workers” were to work for six months after they completed service – also within six months – in state labor service units. Women, who were in the military support service, were employed to work in the military industry, in the military administration, in transport, and so on. Despite the fact that women wore a special uniform this did not equate them to military personnel or military officials. It is noteworthy that at that time in Germany all citizens who were in the civil service wore uniforms and had insignia. On October 1, 1940, based on order No. 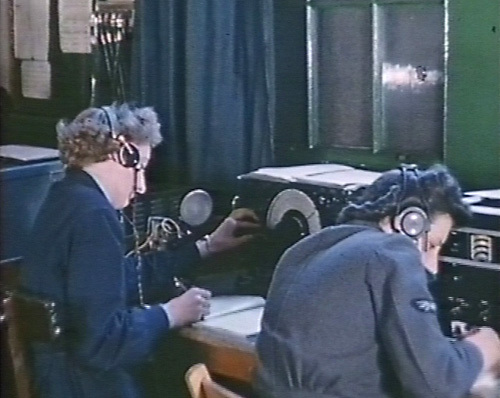 1085, the first auxiliary ground communications service was created (Nachrichtenhelferinnen des Heeres). Women from among members of German organizations and volunteers staffed this service. This group became the predecessor for a number of other services: the auxiliary service for household and medical services (Betreuungshelferinnen) formed in 1941. The Women’s Support Staff Service (Stabshelferinnen) and the Women’s Economic Service (Wirtschaftshelferinnen) – in 1942, and even the units of female horse riders (Bereiterinnen) – in 1943. On November 29, 1944, all the women’s auxiliary units of the Wehrmacht were united into a single auxiliary service (Wehrmachthelferinnen). 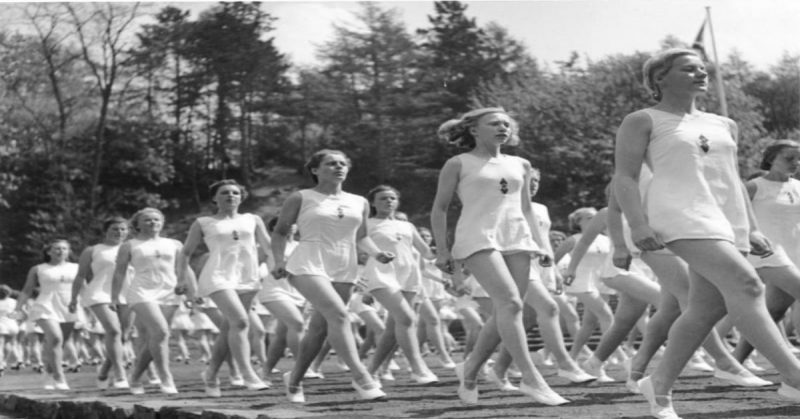 Thus, the leadership of the Third Reich recognized women as part of the armed forces. However, it was rather a forced step to compensate for the large losses on the fronts. After unification in a single service for all employees, a system of titles and insignia was introduced. German Women Auxiliaries in World War II. The women of the German army found themselves in an ambiguous position – they had to obey all military regulations and observe military discipline but did not have the official status of soldiers. The Wehrmacht command tried to adhere to the “do not use women in hostilities” policy. However, these words were often ignored. 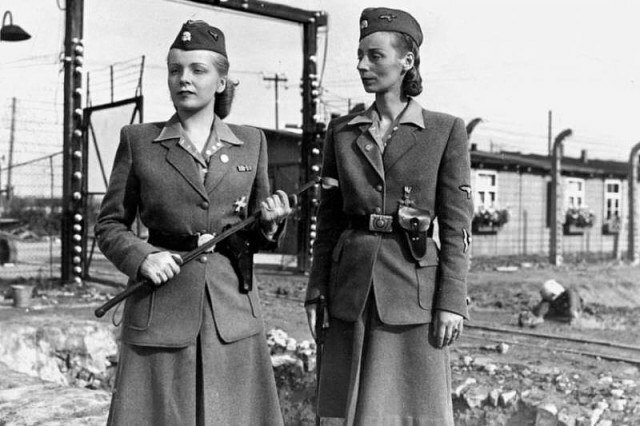 A large number of German women served in the air defense units and took part directly in the conflict zones. As a result, the reorganization had a slight practical effect, because it was too late. 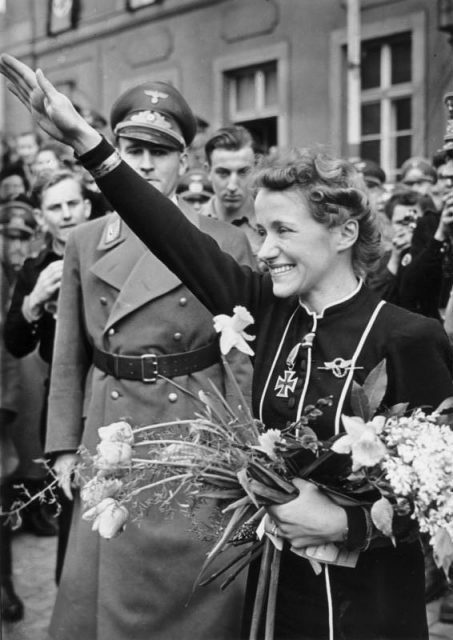 On April 10, 1941, the first large exhortation of German women to the fleet for military purposes was held. At the same time, the Navy Airborne Support Service (Flugmeldehelferinnen der Kriegsmarine) was established. 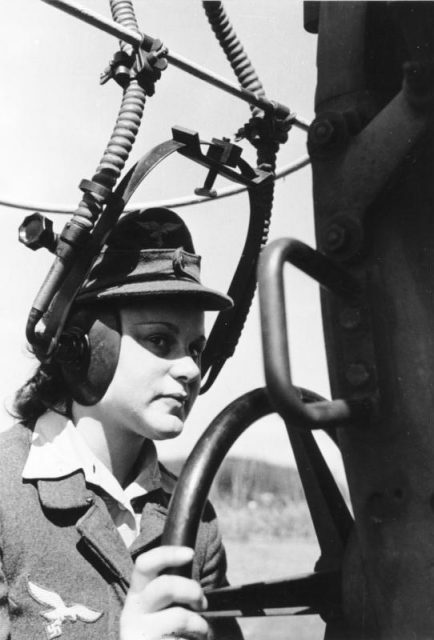 From the air surveillance service, women were transferred to the navy. German women joined the fleet as signalers from the ground forces. In 1943, the German Fleet created a female auxiliary anti-aircraft service (Marine Flakhelferinnen). 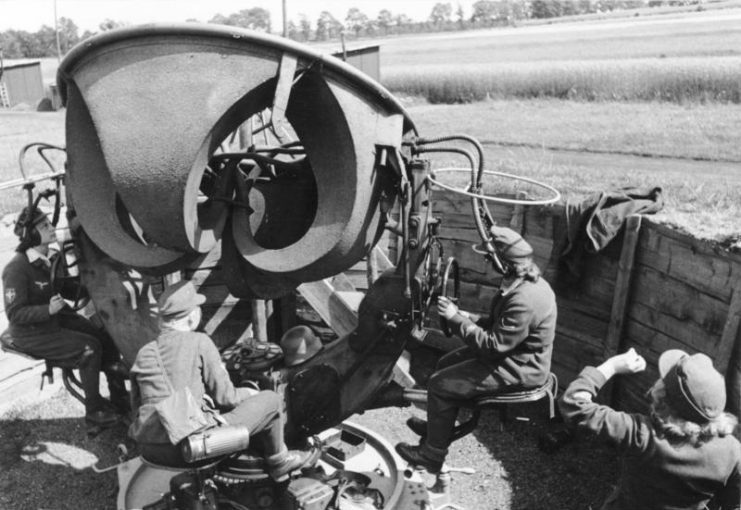 The auxiliary anti-aircraft service in its composition had women who were used in the units for maintenance of searchlights, divisions of aerial balloons and others. All these units worked in close proximity to antiaircraft guns. Despite this, at the initial stage of the service’s existence, women were not included in the weapons combat calculations. 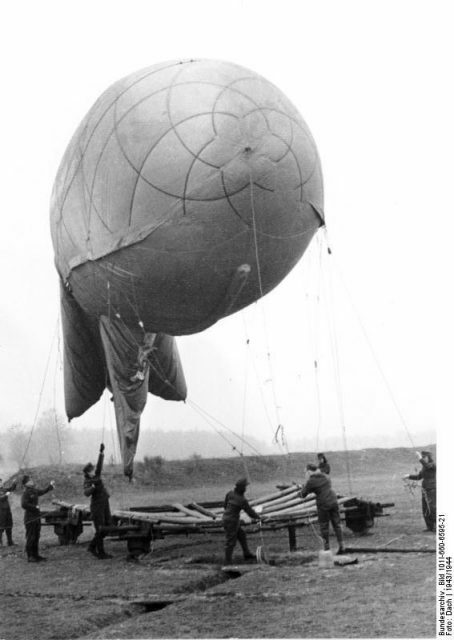 As part of the Luftwaffe was an auxiliary service of aerial surveillance. 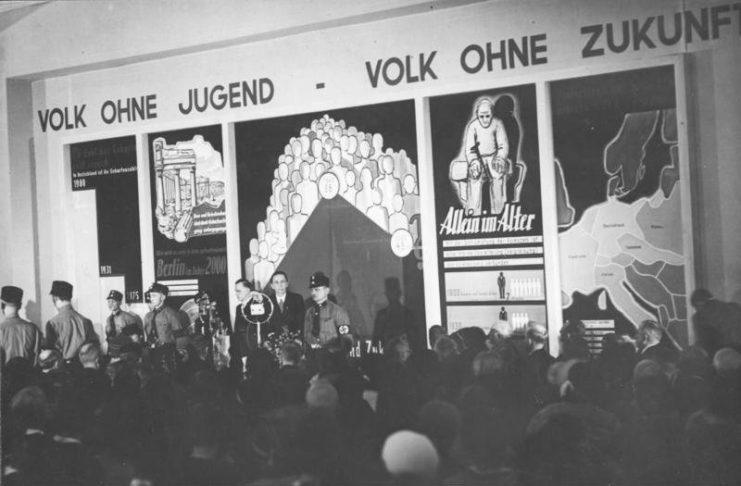 This service was organized in February 1941. The women of this service worked in communication centers as radio operators, cryptographers, telegraph operators, teletype operators. 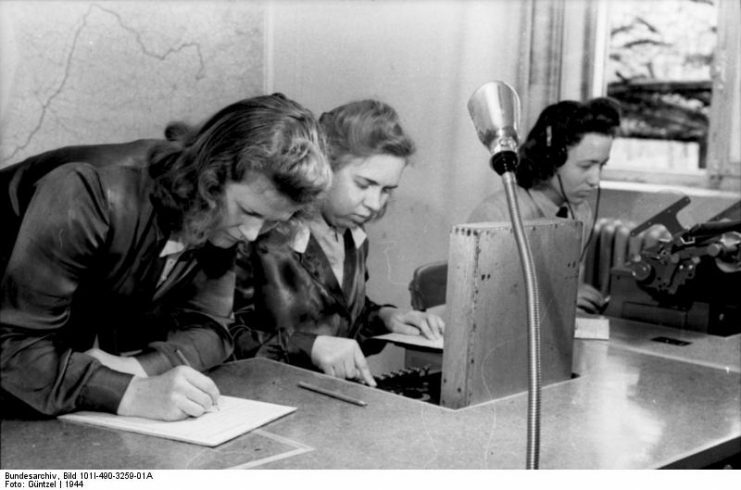 More than 200 thousand German women were observers of the posts “Troops of Airborne Warning and Communications”, as well as soldiers of air defense units and firefighters. Several services operated in the Luftwaffe: the Auxiliary Warning Service, the Auxiliary Staff Service, and the Airborne Attack Prevention Units (since 1944). 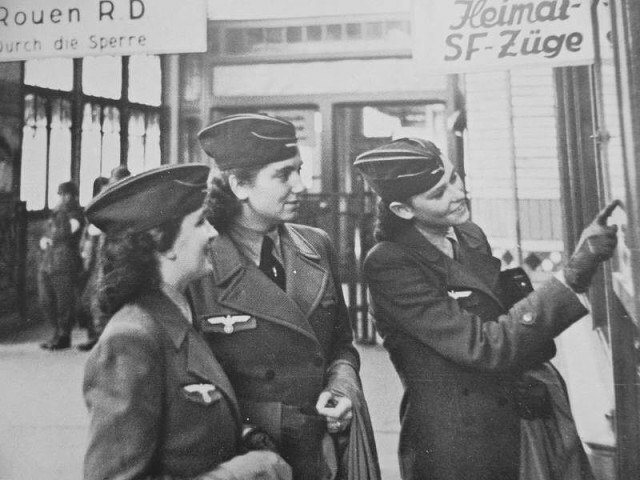 Women entering in the auxiliary units of the SS have served on two basic categories: how employee communication services (Helferinnen) and as employees auxiliaries wartime, to perform other duties (Kriegshelferinnen). 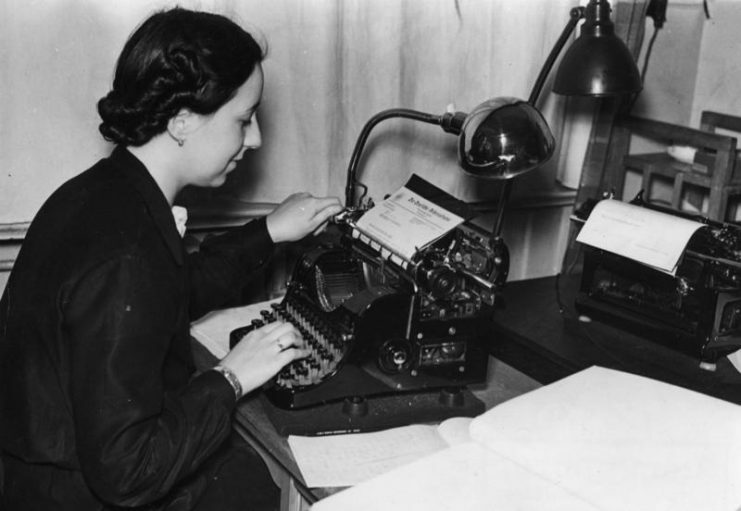 Most often, they worked as telephone operators, telecom operators, text-setters and so on. The minimum age for these positions was 17 years old, and the maximum age was 30 years old. In order to get into these units, the candidates passed a thorough recruitment and excellent training. 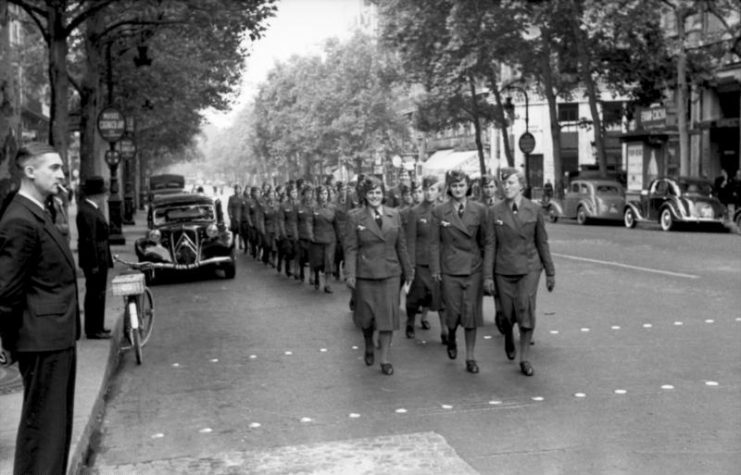 In all, there were 2,375 women in the SS auxiliary units. SS-Gefolge was one of the auxiliary women’s SS units. The warders of the concentration camps occupied most of this position. Entry to the service in the concentration camp was considered voluntary although there are some claims of involuntary service. However, this position was not very popular among women. When recruiting female supervisors, preference was given to those who had excellent physical health, who did not have administrative and criminal penalties and were politically loyal. The age of the set began from 21 years and ended with 45 years. All candidates were required to provide a number of documents including a referral from an employer. 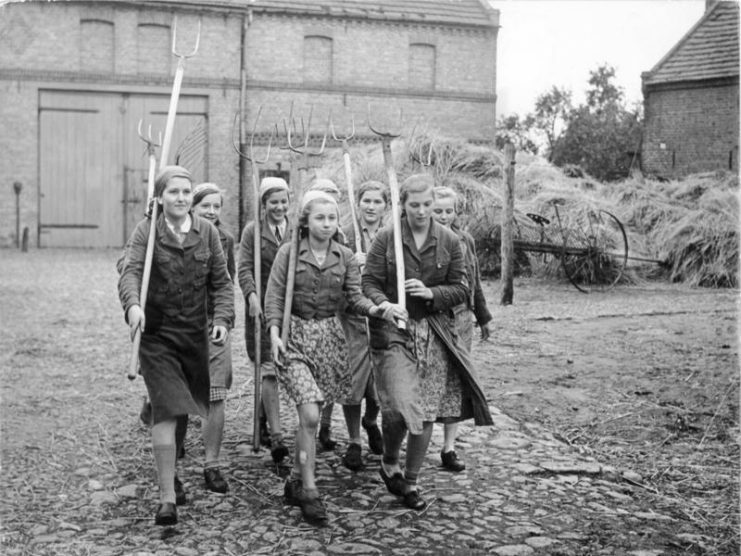 According to statistics, in the period from 1942 to 1945 in the women’s concentration camp, Ravensbrück, 3.5 thousand German women were trained. The female warders received the most negative glory in the years of the Second World War. 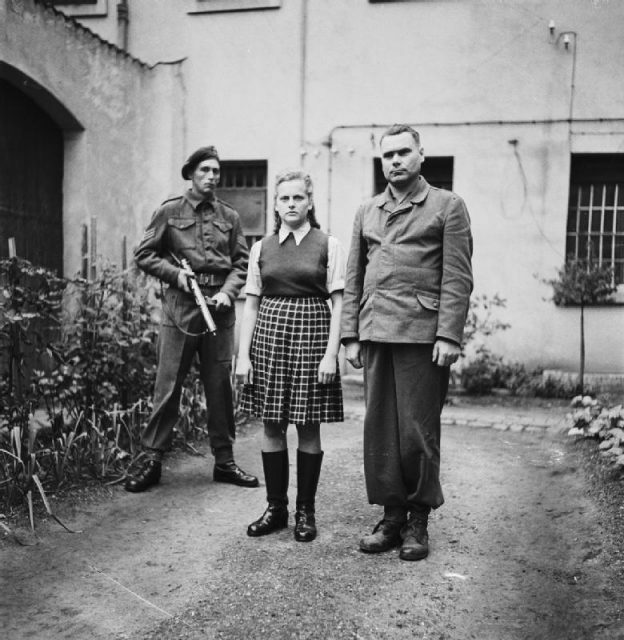 The cruelest is Irma Greze, who for three years, since 1942, was a warder in the concentration camps: Ravensbruck, Auschwitz (Birkenau) and Bergen-Belsen. For torturing prisoners of concentration camps, she used psychological and physical methods of influence. 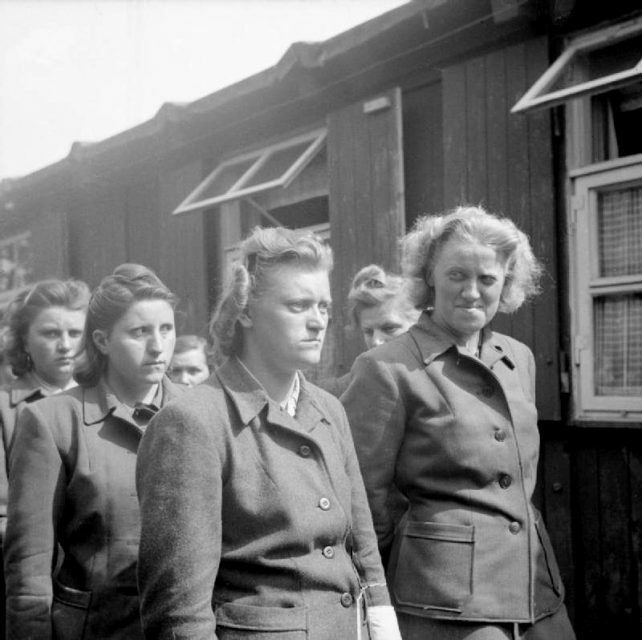 The Liberation of Bergen-belsen Concentration Camp 1945- Portraits of Belsen Guards at Celle Awaiting Trial, August 1945 Irma Grese standing in the courtyard of the Prisoner of War cage at Celle with Josef Kramer. Both were convicted of war crimes and sentenced to death. She brutally tortured and cold-bloodedly killed prisoners, getting pleasure from it. April 17, 1945, Irma Greze was captured by the British and in November of the same year sentenced to death by hanging.